For Pregnancy Birth and Beyond. Having birthed two babies I understand how pregnancy brings about a profound shift in a women’s mind, body and spiritual energy. I can offer you the support needed during this unique and personal life changing journey. 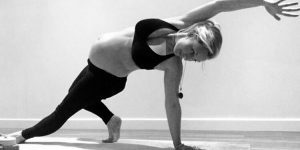 With my pregnancy Yoga, you will receive vital pre-natal body care and practice wonderful, safe and gentle yoga postures, feeling additionally nurtured with comforting extras, such as an ancient Indian head massage during relaxation and hot cloths for the body. 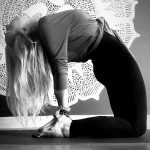 My classes are more than your average yoga class, I focus on teaching flowing, gentle yoga postures (asanas) that aim to stretch out and create more space in the body, as well as promoting the pelvic floor muscles to become strong, supple and flexible for birthing. We work with gravity, sound vibration and breathing techniques to ease your body and your baby in to a lighter and less painful birth experience. Later in the flow with “practice contractions” that’s aim to guide and teach you how to use your body and mind effectively during labour contractions and the 2nd stage of birth, as you learn optimal birthing positions, rebozo and sifting techniques and be guided with visualisation ation skills that many women have reported have all got them through the hardest part of labour. Finally a deep relaxation and visualisation journey in savasana will fully relax the body and mind. These techniques will support the mind and body through pregnancy, childbirth, as well as promoting a healthy recovery after birthing. I also infuse and provide information on pregnancy and the growing baby in Utero, with helpful leaflets on how to relax and prepare your mind and body for birthing in the most natural way possible by using these ancient techniques that have supported so many women for thousands of years. Bearing another soul into this world is a deeply spiritual experience; Yoga helps you to connect with your own soul and to your unborn baby, developing their health and well-being from the very start of life. N.B Practice may only commence after the first trimester of pregnancy (12 weeks). I truly believe that education, preparation and the right support for women is the key to a good birthing experience. I host regular Positive birth Workshops to support women and their birthing partners with much needed practical support and vital information to include; stages of labour and how best to cope with them, practical skills to support the birthing woman, working with pain and natural pain management techniques, labour and birth positions, labour and birth choices and ways to keep the birth scared and positive if it takes an unexpected turn. I also infuse a little information about the importance of birth recovery and healing with my tips on natural remedies to speed up healing and nourish the post partum body and mind. Healing from vaginal birth and Caesarean section. I have birthed two children myself and have two very different birth stories and experiences… both these experiences I will never forget and have changed me forever. I share these Birth stories on the blog soon. I know first hand the transformation that takes place when a woman becomes a mother, it is one of the greatest changes that can take place in a woman’s life, I know how this experience can shape the rest of the journey into motherhood and I believe that there isn’t enough real and raw support out there for women or thier birth partners. The shock that many woman experience as they venture into motherhood for the first time can have an enormous impact on their relationship with their partner, their family and the baby. So to move into this with a more positive and empowering birthing experience can make a huge difference into the journey of motherhood. Research shows that many woman say that what they experienced at their birth was ‘unexpected’, ‘traumatic’ and ‘not how they had planned’, which leaves them asking many questions and often feeling unresolved about their birth experience. In today’s fast paced, modern age of highly interventionist birthing, many woman are feeling residual trauma, pain and emotional scaring from their birth experience. I often feel that the sacred element of birthing is too easily stolen from women when it does not have to be, even if you are opting for assisted birthing or this path unfolds you can still make it empowering and sacred.You can stay in control of your birthing. It is every women’s right. This Workshop offers a birth de-briefing, and the opportunity for a greater understanding of what to do during labour and birth with many techniques to prevent fear or anxiety that can often overwhelm a woman and her birthing partner. The journey from women to mother is one that touches us, emotionally, physically, psychologically and spiritually. the experience is so powerful. Learn how to totally surrender and internalise into your birth, it is possible to have a positive birth no matter how it unfolds. It isn’t about placing any type of birth on a pedestal; that just creates room for competition – and birthing is not a competition! There are no winners and losers when it comes to birthing, from the natural vaginal births, assisted births to cesarean births it’s about the need to keep it sacred and release each other from the pressure to perform some sort of “perfect delivery” and focus on whatever path and birth decisions we take. Above all it’s about being open to the journey that birthing can take in the most positive way and with the most meaningful support. Currently hosting every Tuesday 9.30am-11.30 at Join our Tribe Family Space in Truro. Contact Tribe to book your place. Here women can immerse themselves in an essential Post-Natal body care and birth recovery program. Women get in touch with their new bodies; since they have been transformed by the experience of pregnancy, childbirth, feeding and parenting. Sharing birthing stories and motherhood is a big part of Tina’s sessions. Telling your birth story, feeling heard and listening to other experiences can have a positively powerful effect upon emotional well-being. Since it is now acknowledged by natural birth workers, traditional midwives and Doulas that mothers and her birth partners can experience post-traumatic stress disorder symptoms and sleep deprivation from their birthing experience and early parenthood. Not just when things go wrong or from emergency procedures, but also from feeling unheard, unsupported or afraid. With a BA Honors Degree in Childhood Studies and with 13 years’ experience previously having worked with babies and young children i infuse the class with information about the exciting development of your growing baby to support you further in your journey of family life and the demands early parenthood can bring. Attachment parenting methods (continuum concept) and mindful parenting support and advice is at hand to re-affirm your natural intuition and instinct to parenting, providing you with reassurance and new found confidence. N.B Practice may only commence 4-6 weeks after giving birth or with permission from your doctor. The Mother and baby Yoga sessions are designed for babies from birth to 1 year. Twin babies are fully supported with great techniques on movement and massage for twins. 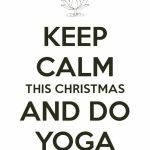 Group classes are run over a 6 week programme to cover a range of yoga movements and baby body massage. Mothers and babies are welcome to practice beyond the 6 weeks (on personal request) in order to reap even more benefits that Yoga can bring for full body and mind recovery after birth. **Regularly Hosted** awaiting next date. This beautiful and special mini retreat has been created for all you beautiful mamas with babies from birth to 12 months. Recharge your Mama power, be completely nurtured, practice yoga, learn beautiful baby massage techniques, relax, heal and connect back to yourself and your baby. As motherhood involves a lot giving, on this retreat you get to be looked after and feel nurtured. It can take up to a full year or more for a women to heal in mind and body after birthing, depending also on your birth experience and amount of sleep recovery you receive. So this is a perfect way to kick start healing or give yourself back any missed healing you still need. You will absorb precious mama goddess time to recharge, heal and step into your power of motherhood, heal, rest, connect back to your body. You will be supported and be able to relax with soulful servings of nourishing organic-vegan- soul food goodness with a beautiful serving of lunch to and have quality time to enjoy yoga, and experience a deep connection with yourself, your baby and other women. You will get in touch with your new body, since being transformed by the experience of pregnancy, childbirth, feeding and parenting. I truly believe that every mama deserves to immerse themselves in essential Post-Natal body care during this special and life changing time in a women’s life, this retreat is perfect for the journey into motherhood. We will celebrate this amazing journey, holding space together, sharing all my mama earth rituals and birth recovery techniques, i will guide you through breath, movement, stillness and relaxation, With a workshop sharing on post natal healing remedies. We also focus hugely on baby massage techniques, sound vibration with crystal bowls and deep relaxation infused with mama head massage ritual and the beautiful vibrational sound bath meditation. You will come away feeling empowered and firmly rooted into your female energy, taking with you the healing, peace and lifelong techniques about how to relax with your baby. We end the day with Mama Circle Birth Stories, organic, Mama and baby yoga, Baby Massage,Relaxation and Baby Sleep. We close with Organic Soul Food Lunch and Holistic Baby Play. *All food is organic and vegan so to avoid any wheat, gluten or dairy. * Baby changing facilities available, spare nappies, wipes and organic creams available. * Please bring with you a Towel for the baby massage and anything you will need for the day and for the baby massage ( e.g Towel for the massage, Baby blanket, Spare change of clothes, nappies,bibs,feeds).